DO YOU WANT TO BE A FLIGHT PARENT ? 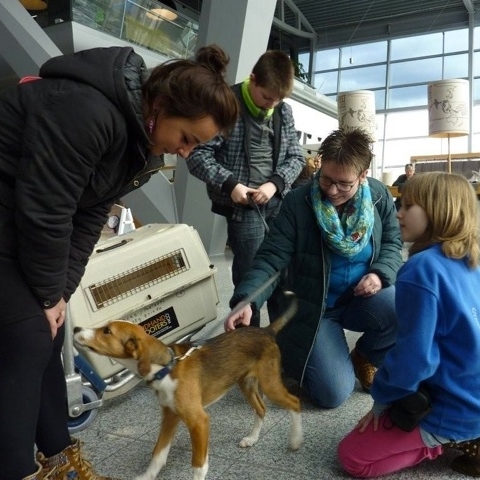 Many of our dogs and kittens are adopted abroad. Main countries are the Netherlands, Belgium, United Kingdom and Germany. Therefore we are looking for flights for our adopted rescue animals and passengers we call “flight parents” who can help these needy animals get to their destinations and their new homes. If you have a big heart for abandoned, unwanted, badly treated puppies, dogs, kittens and cats and you would like to help in a practical way then this is the way to make a small, simple contribution to their future welfare. All travelling animals have an authorised EU passport and travel bag or box that complies with EU regulations. 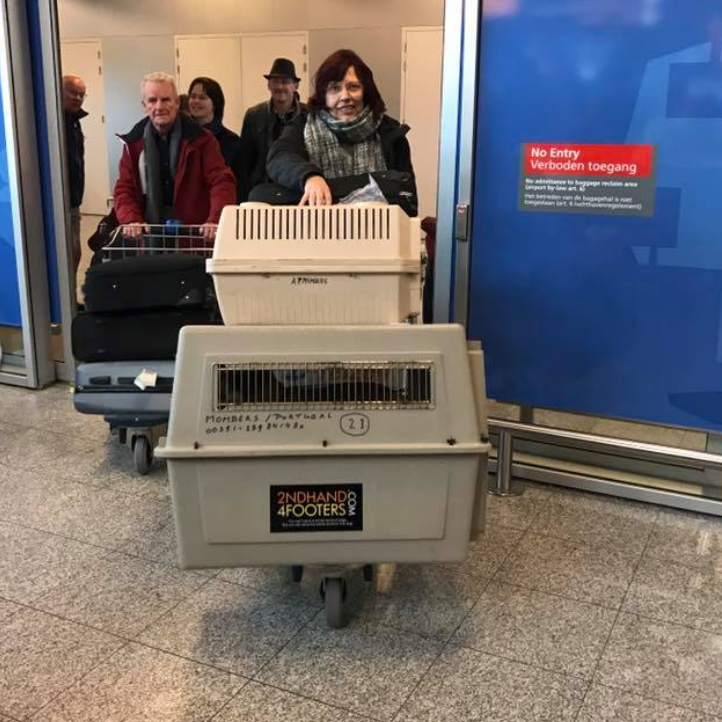 The flight parent is met at the airport of departure and accompanied from the check in desk to the animal drop off by an experienced member of the association. The flight box is then taken to the hold of the aircraft by airport ground staff. 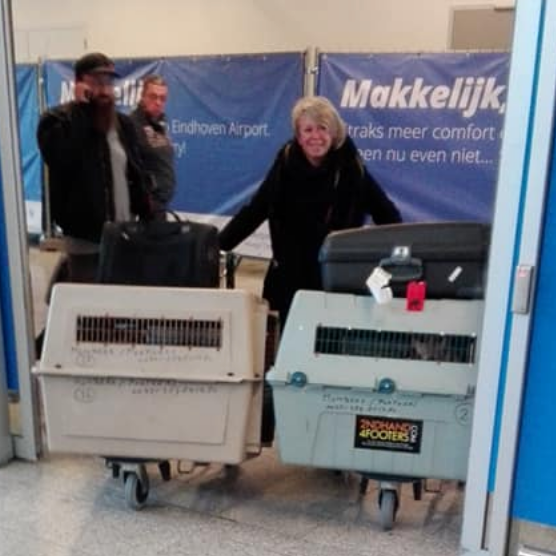 At the destination, after collecting the flight box from the “outsize luggage” point, the flight parent is met at the customs exit or the “Meeting Point” by another member of the association who collects the box with the animal and the passport. That’s really all you have to do to help give a rescue animal a new lease of life. Some small dogs and kittens can also travel in a cabin bag in the cabin. These then go with the flight parent in the cabin under the seat. The animal is not allowed out of the bag. If you would like to help in this way then please send us an e-mail (see under CONTACT) and state your flight number, date and time of departure, from which airport in which country and your city of destination. We will then contact you. It may be clear that all expenses will be paid by us.